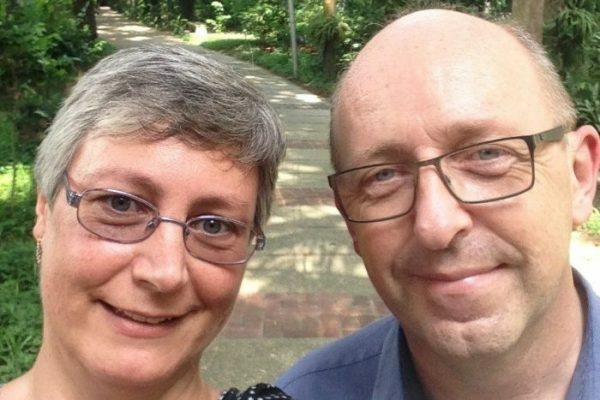 Phil and Louise have lived in Dhaka, Bangladesh for just over 2 years, working in a previous BMS development project. They currently work alongside the Bangladesh Baptist Church Sangha (BBCS) and their development wing. Phil and Louise have both now taken up positions as consultants with the Social Health and Education Development (SHED) Board. Phil will be focusing on the development side, and helping improve capacity building and resource management. Louise will be helping with education projects, initially focusing on a new pre-school project that has introduced 18 new pre-schools to Baptist Churches in very poor, rural areas. It's a moment that many people spend their life waiting for. Of course we were looking forward to it, in the future when the time was right. It was a bit of a surprise during the middle of last year when we got the phone call - "I've got some news, it's exciting but kind of scary". There are no home assignment dates available at this time. These will be posted here as soon as they are confirmed. In the meantime please remember that you can request a BMS Speaker at any time in the year. Help BMS World Mission confront one of the world’s greatest injustices.